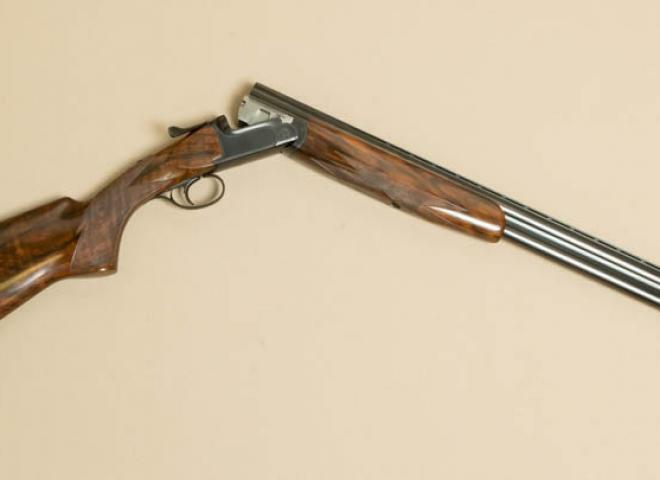 IDEAL SINGLE BARREL HUSHPOWER 410. AS QUIET AS AN AIR RIFLE. PERFECT FOR USE ON VERMIN. 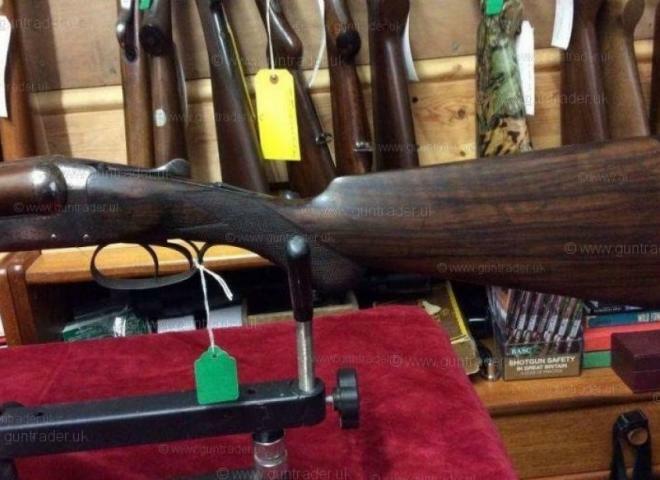 This gun has an adjustable well figured American walnut stock. With drop points also carved into the stock at the head which adds to the quality look of the gun along side the distinctive gold trigger. 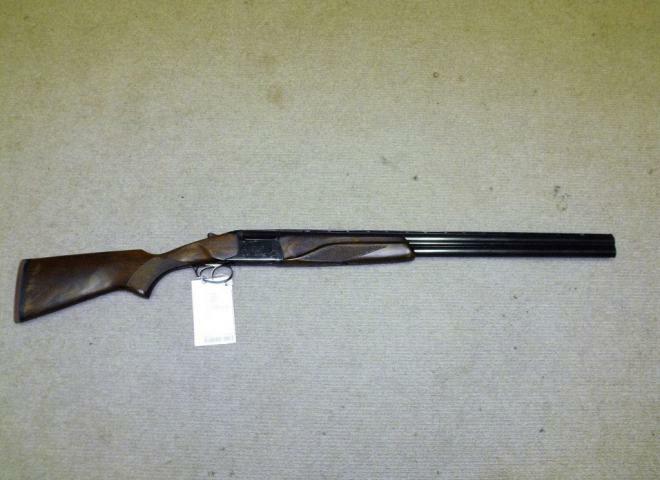 New C35 Classic Chapuis, round body style .20 bore , Ejector , 30" barrels with fix chokes 1/4 & 1/2 . solid top rib, narrow game type. 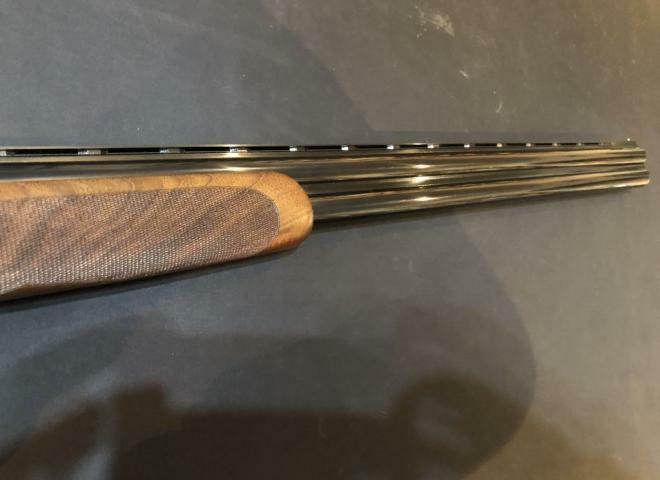 Unusual F.Baxter sidelock non ejector. 30" nitro proof Damascus barrels 2 1/2" chambers choked CYL & 5/8. 15 3/8" well figured pistol grip stock with horn extension. 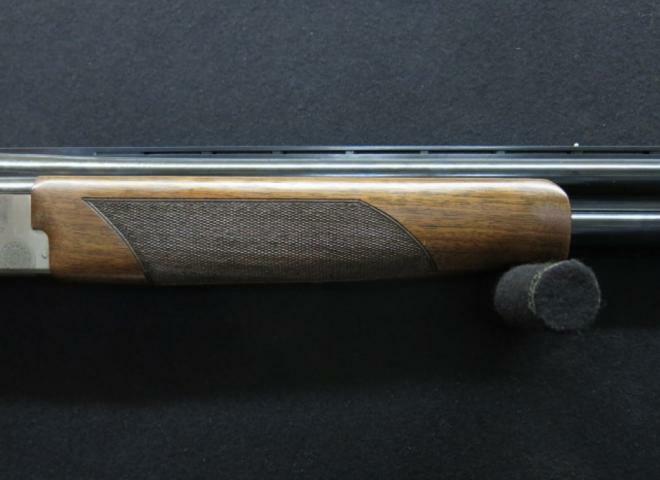 Very unusual chequering pattern to stock & forend. 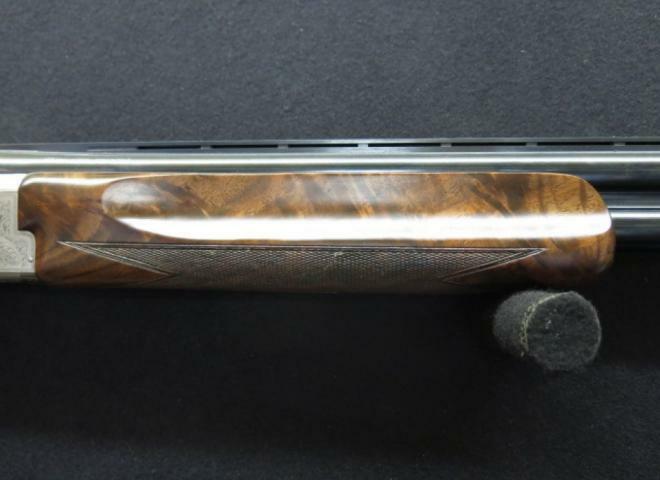 The Winchester Select Sporting II is designed for sporting clays but can also be used for game making it an ideal all round shotgun. The Winchester range of shotguns are reliable and very pointable. 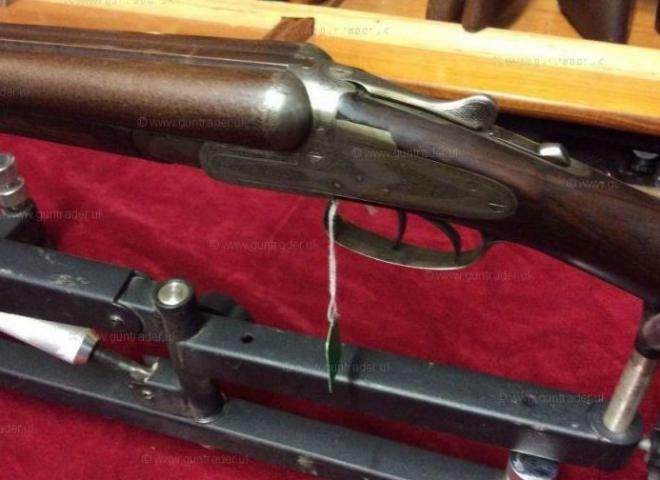 A quality English gun with some original colour. Left handed and long stock. Pefect for an absolute giant of a person. 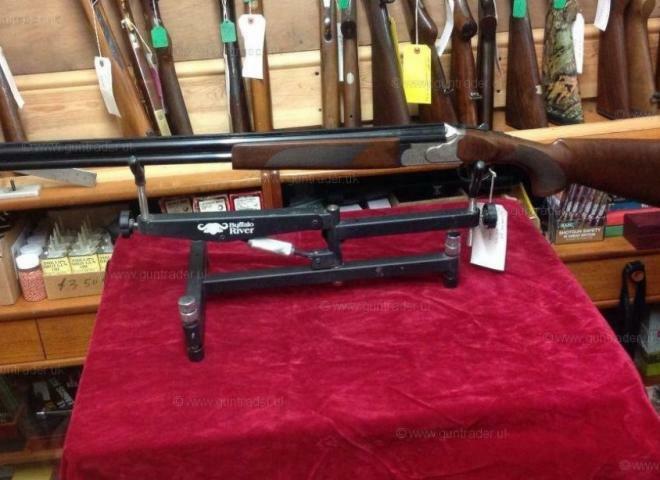 A great gun and can be altered to make shorter or right handed should the buyer wish. 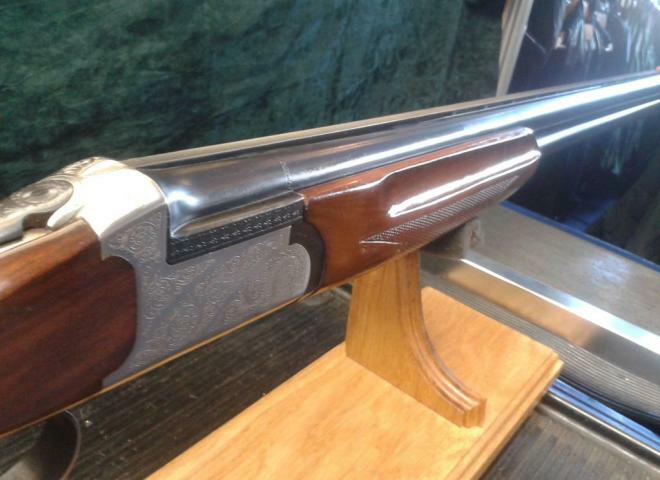 The stock on this Miroku MK 60 High Pheasant has particularly well-figured wood. 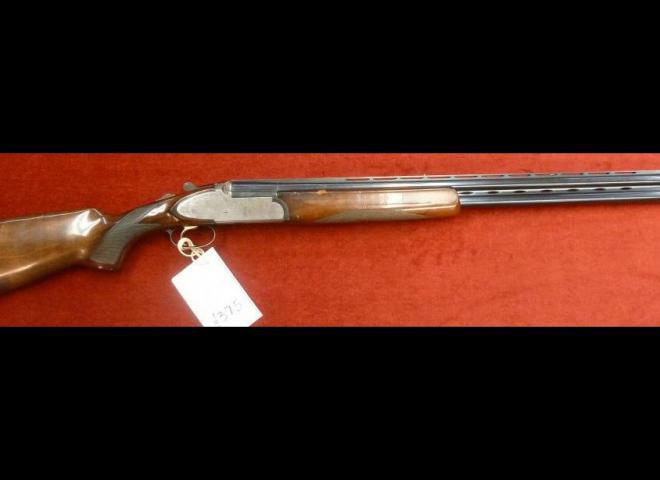 With the signature 32" barrels and the fixed chokes at 3/4 and full . 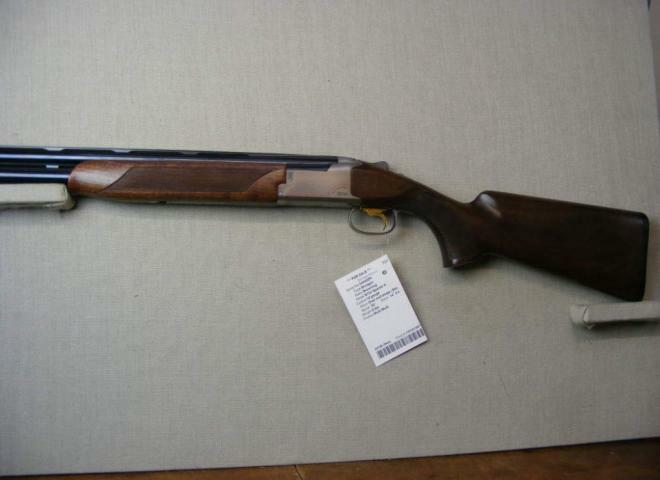 The gun also features a ventilated top rib, double bead and selective auto-safety. Fitted with stunning upgraded wood. 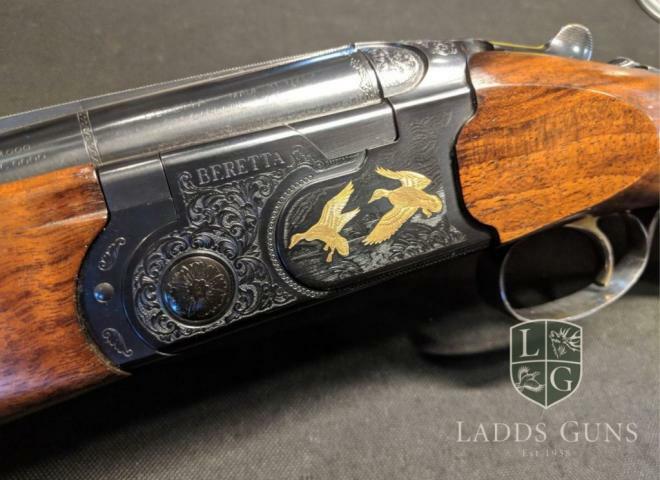 This is a fantastic trap gun with a Miroku rubber recoil pad, silver oval surrounded by Grade 5 wood leading onto the sporting scroll work on the action. Manual selective safety, top ventilated rib, double bead with a beaver tail fore-end. 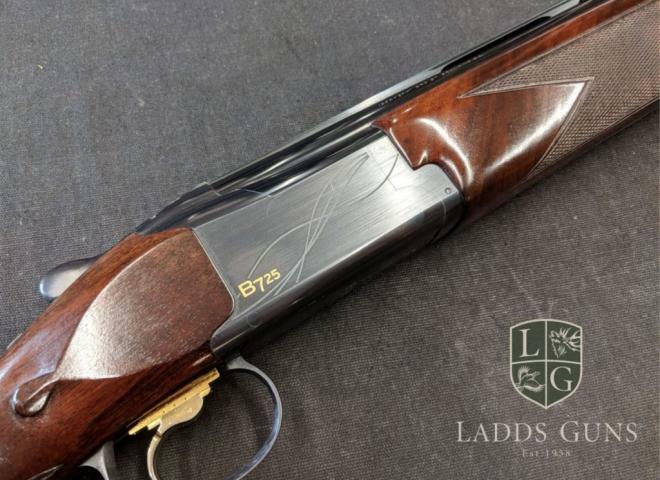 Unrivalled competition pedigree, this Miroku MK38 Trap gun boasts an incredible record at the very top competition level. THE NEW FUN GUN, THE 3 BARRELLED OVER SIDE BY SIDE!!!!! 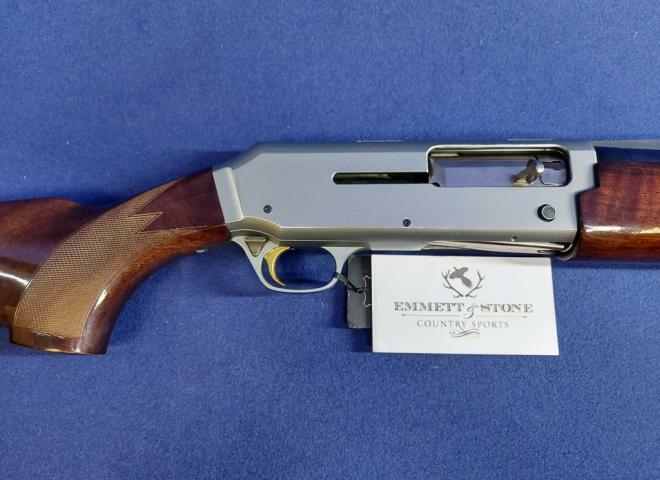 GREAT HANDLING .410 WITH THE EXTRA SHOT, MULTI CHOKE AND 3" CHAMBERS, VERY USEFUL FOR VERMIN CONTROL OR ROUGH SHOOTING, WHATEVER YOU DO ITS FUN!! 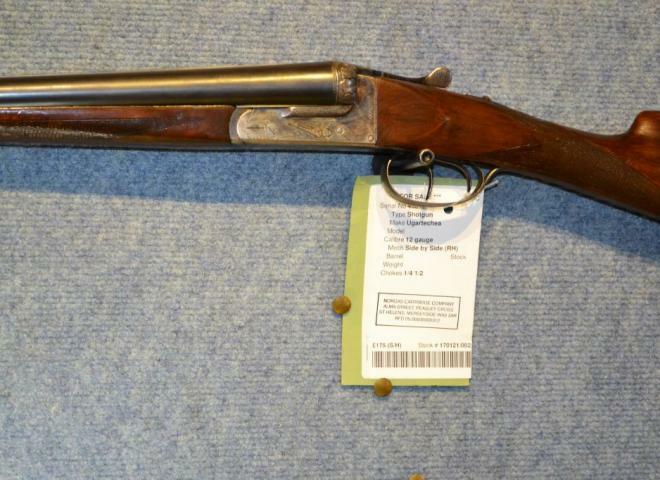 Very nice gun that just seems to point really well - with its long barrels and long London style forend, feels and looks a more expensive gun than it is. 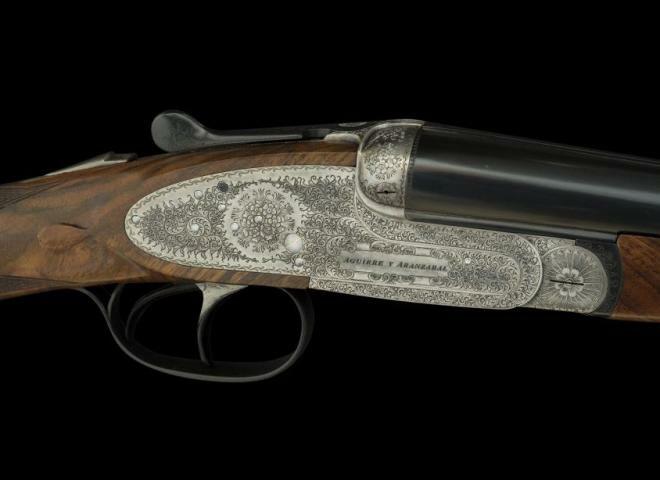 Lovely gun with Damascus barrels. 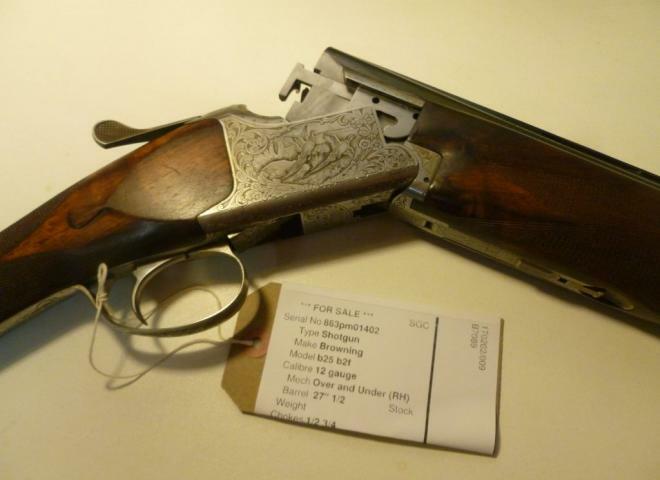 HENRY TOLLEY & CO Times Wks 65/66 Weaman St .Birmingham from 1880 to 1892 Very good looking side lock old English Damascus barrel Shot gun.In very good condition for a gun over 120 years old NITRO PROOF for 1/18 oz load. New, Sport With Makers ABS Case and 5 Chokes and Key.